People often tell us that Dr. Packer is the most kind and gentle dentist they’ve ever had. He’s full of compassion and loves building friendships with his patients. 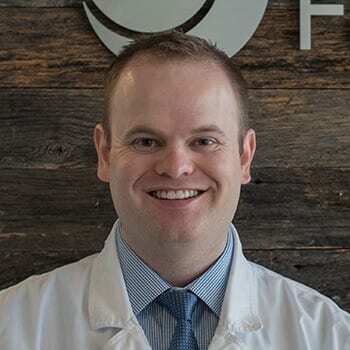 A graduate of the prestigious University of Pennsylvania School of Dental Medicine, Dr. Packer holds his dental work to extremely high standards. He went on to complete a general practice residency at the University of Colorado where he focussed on advanced procedures including dental implants and wisdom tooth surgery. Dr. Packer grew up in Minnesota and now especially enjoys the weather here in Colorado. When he’s not in the office, he spends his time with his wife and two active kids. He enjoys photography, playing tennis, and enjoying the outdoors.